THE largest city on the planet! He who parties in the largest city on the planet out of all of his family, friends, and relatives AND hits at least one dozen countries AND at least one dozen towers in the world first wins!!! I WIN!!! OH-HELL-YEAH!!! 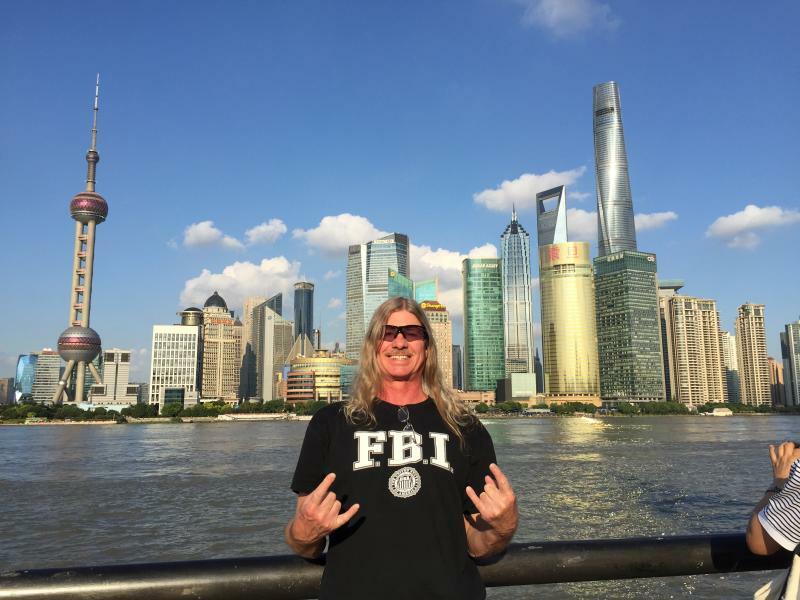 Finally, partying in the world`s largest city on the planet, Shanghai! 38,000,000 people! 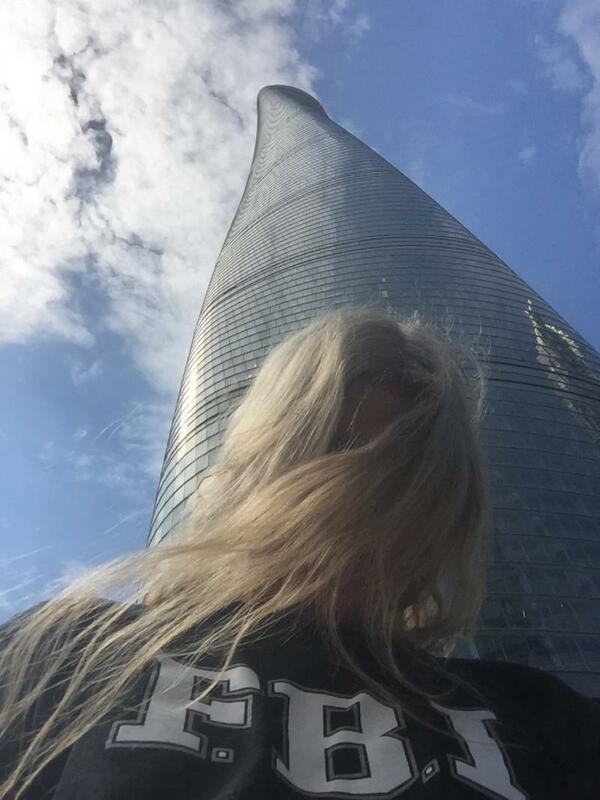 Pictured to my right is the Oriental Pearl Tower, which we toured, which makes the ELEVENTH tower in the world that I have hit and the Jin Mao Tower (13th) and the Shanghai Tower (12th) to my left! OH-HELL-YEAH! The top 3 tallest buildings from left to right; the Jin Mao, which is the THIRTEENTH tower in the world that I have hit, the Shanghai World Financial Center, and the Shanghai Tower, which is the TWELFTH tower in the world that I have hit! EPIC! The Jin Mao Tower, again, the THIRTEENTH tower in the world that I have hit! 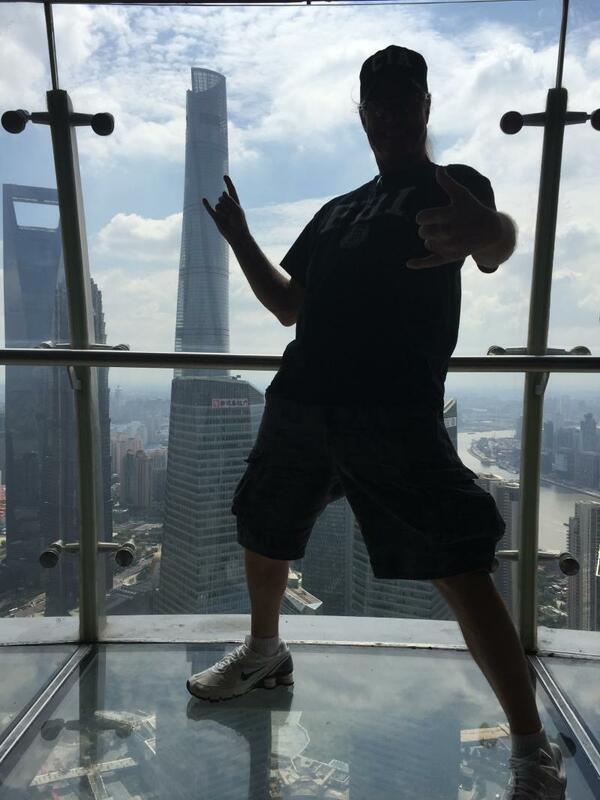 Standing on the glass floor of the Oriental Pearl Tower pointing to the amazing Shanghai Tower! The spectacular Shanghai Skyline at night in the largest city on the planet! The sign showing the 13th tower and the 12th tower in the world that I have hit. This is our hotel, the Pine Hill Hotel, yet another 5-star! On our way to the Jin Mao and Shanghai towers from the Oriental Pearl Tower. More of the Shanghai Skyline. 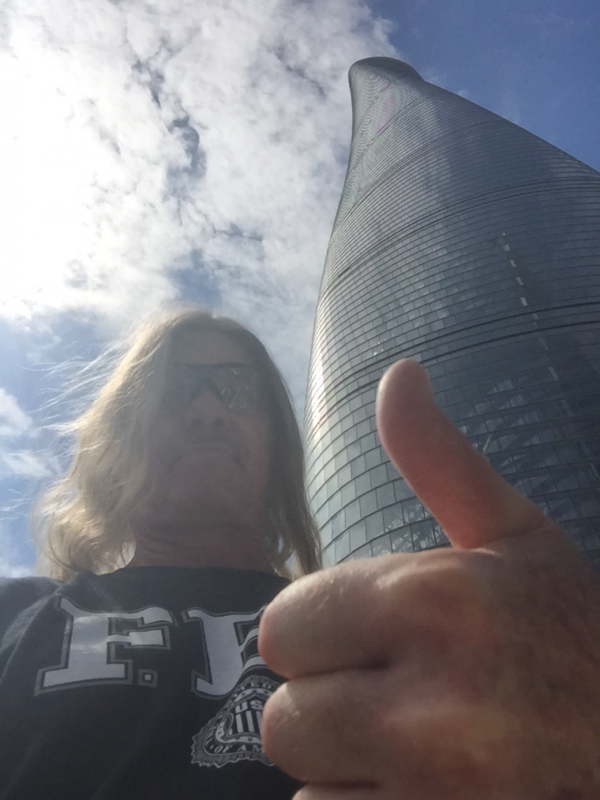 The Shanghai Tower, which makes the TWELFTH tower in the world that I have hit is open, however it is slated to open to the public in early 2016 so at that point when we return we will be able to party at the top. The wind speed at the base was surprisingly high! Finally, OVER ONE DOZEN towers in the world that I have hit!!!!!!!!!!!!! Gotta give a big thumbs up to that! I have hundreds of friends throughout the world and I know of no men who have hit as many towers as have I! MOST IMPRESSIVE even if I do say so myself! 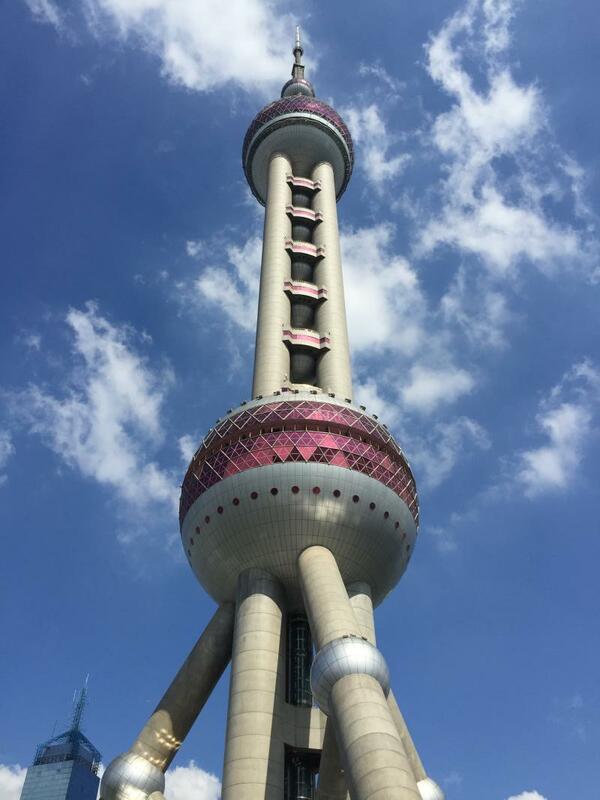 The iconic Oriental Pearl Tower! The spectacular Shanghai Skyline in the afternoon in the largest city on the planet! This is a shot of the Huangpu River and the Bund District from the Oriental Pearl Tower. This is a shot of our top speed of 301 km/h on the Shanghai Maglev Train which is the world's fastest in the world's largest city on our way to the Shanghai Pudong International airport! 301 km/h = 187.033 m.p.h., which is the fastest that I have ever traveled on land, which is about 30 m.p.h. faster than I have driven in my KILLER Z-28 at 160 m.p.h.! This is our maglev train at the station.